So lace up those skates and check out these amazing skating rinks that ended up in our top 6 🙂 Oh, yes before we forget – feel free to add, simply map your favorite rinks and show us your skate moves in your Map Your City app. 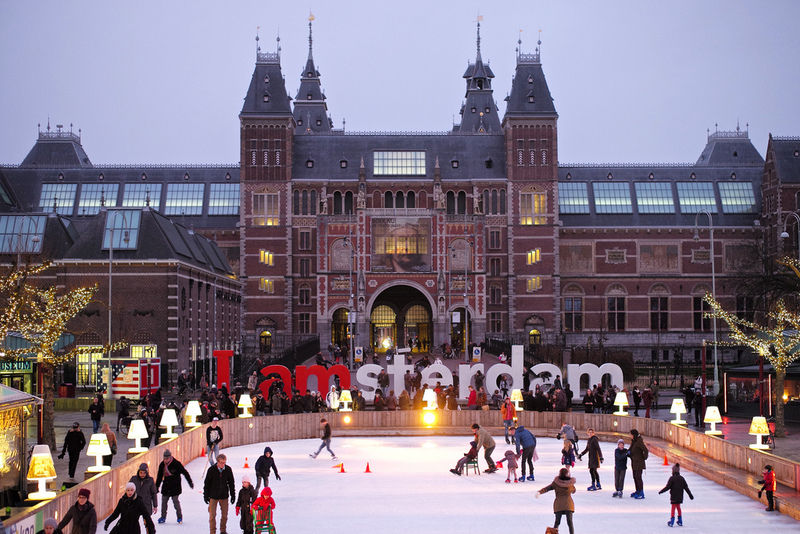 It is the ideal place to enjoy some typical Dutch wintertime fun. Head along for a spot of skating or simply to watch the action and take in the great atmosphere. Located next to the rink is a charming wooden chalet offering a range of delicious Dutch and international dishes. The Vienna Ice Dream’s magical setting makes you’ll feel like you’re gliding through a fairytale. Below the gothic spires of Vienna’s Rathhus (city hall), the icy landscape stretches over 7,000+ square metres. According to Guinness World Records, the Rideau Canal is the world’s largest naturally frozen ice rink is in Canada’s backyard. Ottawa boasts an ice surface that’s the equivalent to 90 Olympic-sized rinks. Say what? The Trump Rink also known as the Wollman Rink – sits nestled within the south side of Manhattan’s beloved oasis (enter from Central Park South and 6th Avenue). For a truly spectacular skating experience, you must try the iconic Lake Louise. While skating immerse yourself in the natural beauty of your surroundings.